Recreation of silver coin tetradracmas used in ancient Greece. 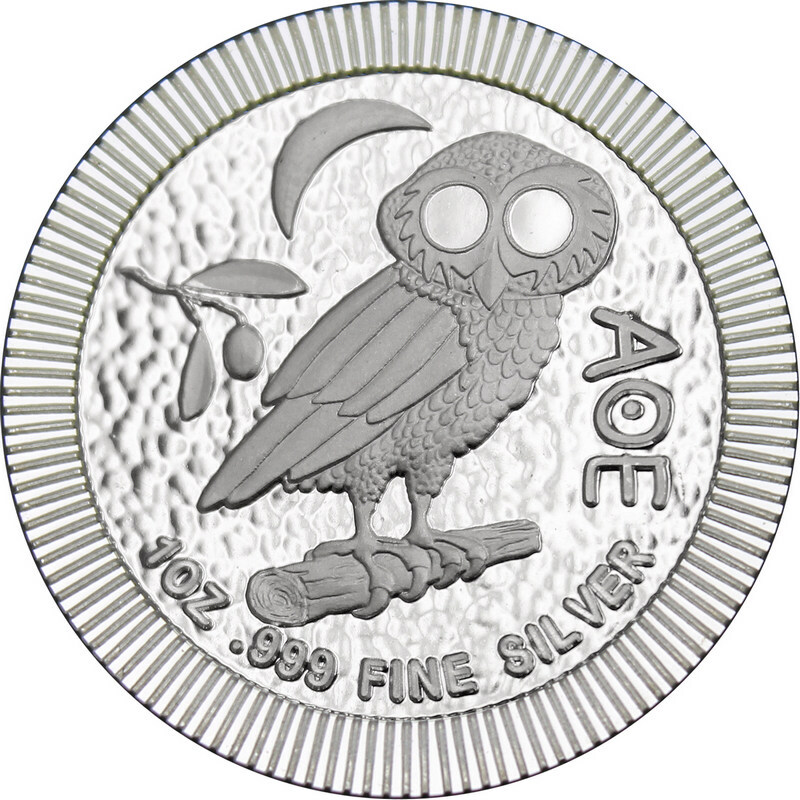 2018 Niue 1 Ounce Silver Coin Athenian Owl. These coins 31,1of grams of pure Silver are minted with a face value of $2 by New Zealand Mint.